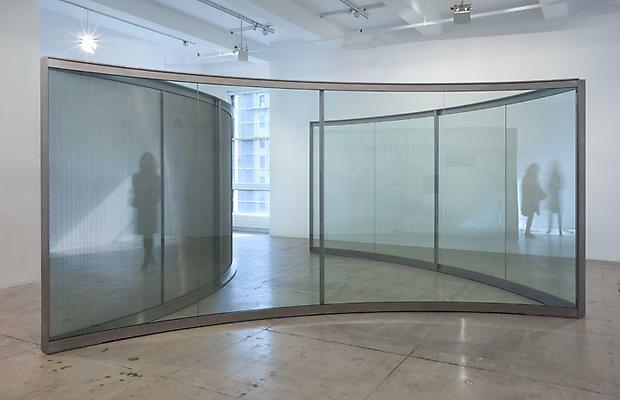 Marian Goodman Gallery is pleased to announce an exhibition of new work by gallery artists Dan Graham, Giuseppe Penone, Danh Vo, and Jeff Wall, opening March 6th and on view through April 10th. 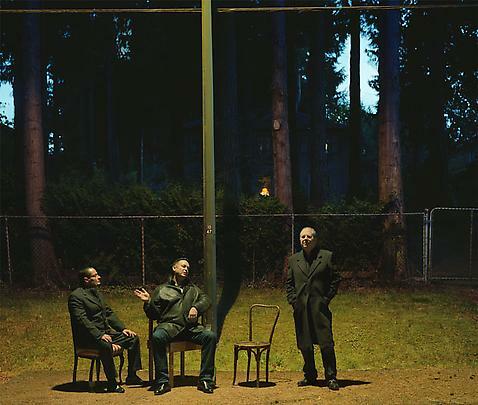 In the North Gallery two new colour works by Jeff Wall completed during the past year will be presented: Monologue, a night scene in which three men engage in discussion under a streetlight, and Summer Afternoons, a diptych showing a young man and woman, both naked, in a sun-filled apartment. 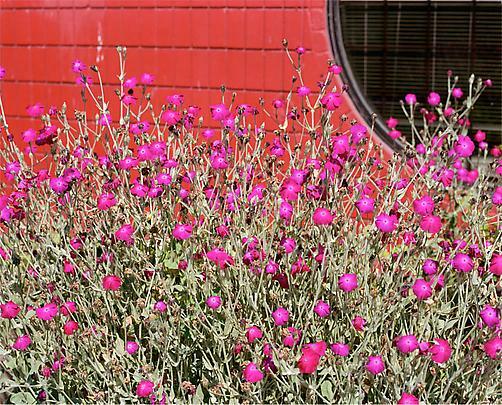 A small picture made in 2012, Flowering Plant, will also be shown. 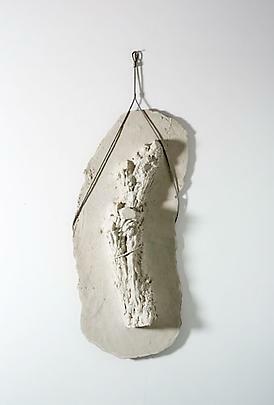 In an adjacent section of the North Gallery, Giuseppe Penone’s 'Pelle di grafite - transparenza' (2005), a graphite work on white fabric will be on view, alongside ‘Germinazione’ (2005), a series of six hanging wall sculptures in acrylic resin that refer in essence to the bodily process of imprint and gesture at the heart of Penone’s practice -- the physical space of touching and its impact on the metaphysical space of seeing. 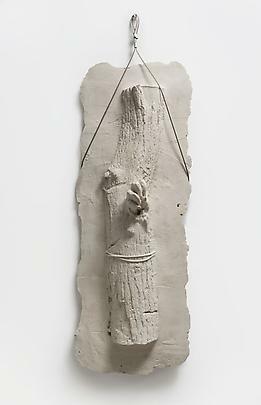 ‘Germinazione’ originate from the negative imprint of a section of tree trunk or branch compressed into the earth by the artist’s own hands and then are superimposed and developed imprint by imprint, into the resulting positive, the ‘germinated’ sculpture itself. In the North Gallery Viewing Room, Danh Vo’s Gustav’s Wing (2013), a lifesized sculpture of a human figure in six cast bronze fragments, is based on a model of the artist’s nephew Gustav, at age 11 Gustav’s Wing originated as a photograph of the boy’s double-jointed shoulder blade, which he referred to as his ‘wing’ and later Vo began to make works produced from a full body mold. Although the figure's posture seems to signify a peaceful moment, its display in pieces at the same time evokes an unsettling atmosphere. Vo first created works from Gustav’s form in paper mache for the exhibition “Gustav’s Wing” at Porto Culturegest, Portugal. 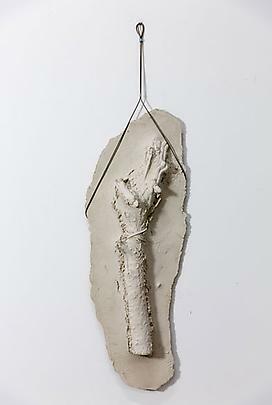 The bronze work is shown here for the first time following its inclusion at Art Basel Parcours this summer. 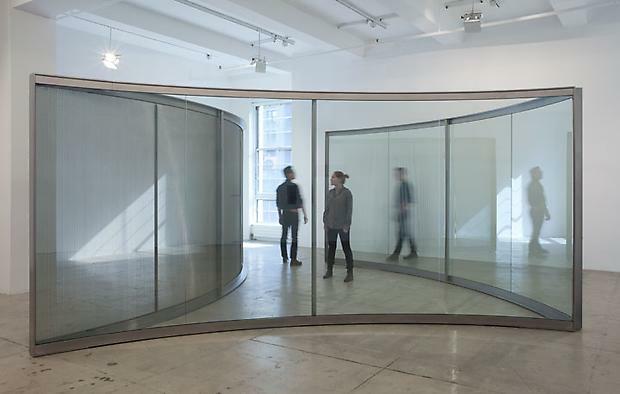 In the South Gallery, we are pleased to present Slice (2013), a new triangular pavilion by Dan Graham. The work continues the artist’s investigation in recent years into the perceptual properties of curved two-way mirror glass. With one concave and one convex side and another convex side made of perforated stainless steel, the pavilion affords intricate reflections changing from elongation to contraction. 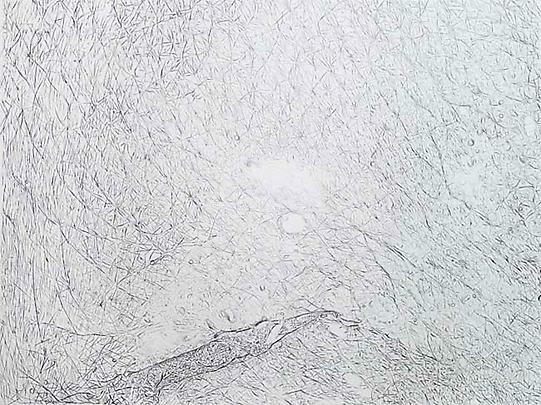 The work reveals flux and bodily movement through an open structure, reflecting the immediate surroundings. 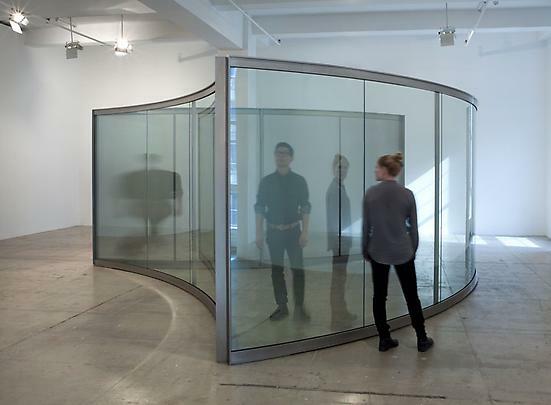 Current and upcoming projects by the artists include a solo exhibition of Dan Graham’s Models and Beyond, at De Pont Foundation, Tillburg, Netherlands on view through May. This summer Dan Graham will exhibit a new pavilion at the The Metropolitan Museum of Art’s Met Rooftop as part of their commissioned works exhibition program. 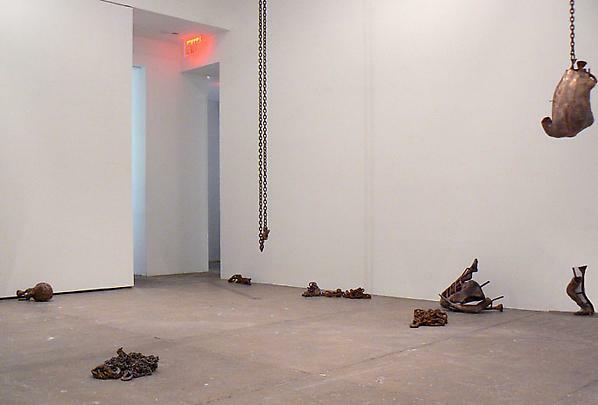 An exhibition co-curated by Danh Vo, Macho Man, Tell It To My Heart: Collected by Julie Ault, opened in November and will complete its run at Artists Space on February 23rd. Danh Vo is producing a performance in conjunction with XiuXiu to open the Berlin Biennale on May 28th. His forthcoming solo projects include: in the summer at Nottingham Contemporary, U.K., opening July 19th; and in the Fall at The Kitchen, New York, opening September 25th. 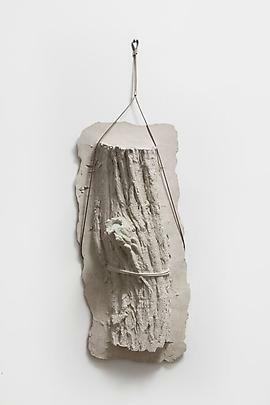 Giuseppe Penone’s recent Ideas of Stone completed a six-month exhibition at Madison Square Park, NY in early February. 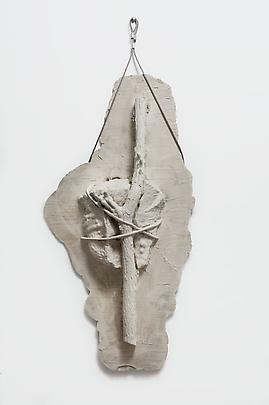 A solo exhibition will be forthcoming in the Fall 2015 at The Nasher Sculpture Center, Dallas. Jeff Wall’s current solo exhibitions in Europe include: Jeff Wall In Munich, Pinakothek der Moderne, Munich, on view through March 9, 2014; and Jeff Wall: Tableaux, Pictures, Photographs 1996-2013, opening March 1st at the Stedelijk Amsterdam and on view through August 3, 2014. 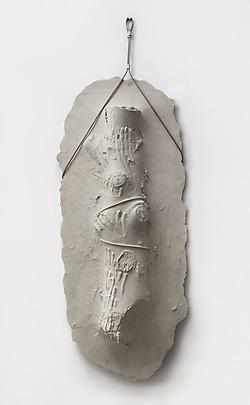 The Stedelijk show will travel to Kunsthaus Bregenz, Austria from October through January 2015, and Louisiana Museum, Denmark, from February to June 2015 . Please join us at the opening reception for the artists on Thursday, March 6th, from 6-8 pm.